The Rock is still interested in running for the president but not just yet. In his recent interview with Rolling Stone, the wrestler turned film star Dwyane Johnson opened up about the apparently fueling idea of him running for office. "People are very excited, and it's so flattering that they're excited. I think it's also a function of being very unsatisfied with our current president. But this is a skill set that requires years and years of experience. On a local level, on a state level and then on a national level." "I have the utmost respect for our country and that position, and I'm not delusioned in any way to think, 'Oh, absolutely, if Trump can do it, I can do it, and I'll see you in 20-whatever, get ready.' Not at all." The 2020 speculation fueled after GQ published an article in May 2017 with the headline "Dwayne Johnson for President!" Last year, Kenton Tilford, a 26-year-old political consultant, and freelance writer, created a campaign committee called "Run The Rock 2020" to draft Johnson as a presidential candidate in 2020. "I think it's a real possibility," he told the publication when asked if he would ever run for president of the United States. Referring to an interview during the 2016 presidential election in which Johnson commented about not having "ruled politics out." which quickly went viral and excited fans. "A year ago, it started coming up more and more. There was a real sense of earnestness, which made me go home and think, 'Let me really rethink my answer and make sure I am giving an answer that is truthful and also respectful. I didn't want to be flippant — 'We'll have three days off for a weekend! No taxes!" Further, Dwyane cites the presidency of Donald Trump revealed some uncomfortable truths. "I think in a lot of people's minds, what Trump has proved is that anybody can run for president. And in a lot of people's minds, what he's also proved is that not everybody should run for president." Johnson advises we "pivot back to people who have a deep-rooted knowledge of American history and politics and experience in policy and how laws get made." 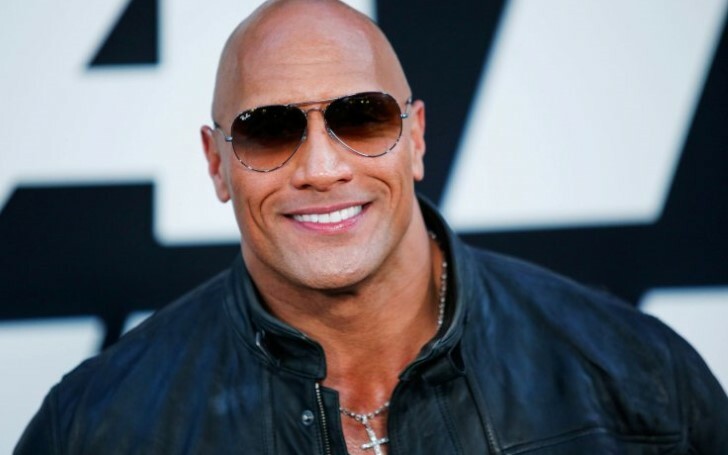 The Rock, however, "entertains the thought" and is flattered by the presidential run rumors. "I entertain the thought, and thank you, I'm so flattered by it. But I feel like the best thing I can do now is, give me years. Let me go to work and learn." With the next presidential election approaching soon on 2020, Johnson will likely take more time to think about how a presidential campaign would affect his life and career.